Reminiscent of a delicate sea breeze, Acqua is a blend of sweet musk and the cool blue notes of marine algae. A favorite of those who prefer a light, fresh unisex fragrance. 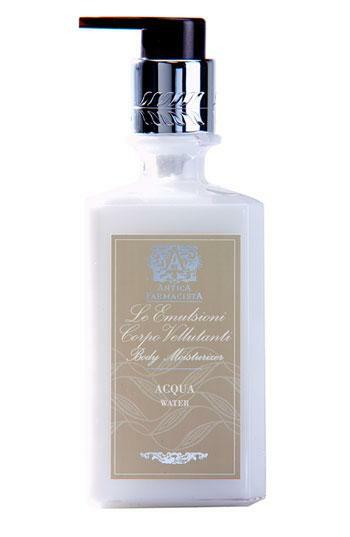 Style Name: Antica Farmacista 'Acqua' Body Moisturizer. Style Number: 250941. Available in stores.